LARGE 4 bedroom apartment in Brand New building, each room has GIANT windows and big closets. FREEE Laundry Room in building, Courtyard, Building Outdoor space and recreational room! 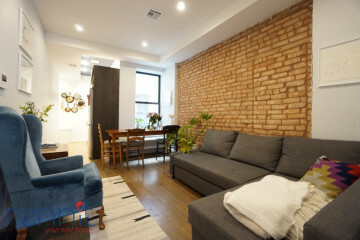 HOT location on the Ridgewood/Bushwick border right off the M train at Forest Ave or a short walk from the L/M train at Myrtle-Wyckoff. This means easy access to all of Brooklyn and Manhattan. This also means there are tons of great cafes, bars, dining, and so much more in walking distance. 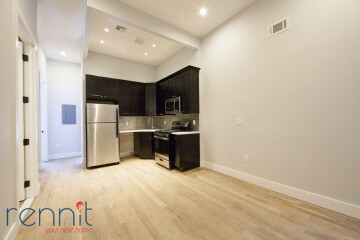 Spacious open living room connected to a kitchen with all stainless steel appliances including a microwave. 1.5 bathrooms with rainfall shower head and deep soaking bath. Central heating and air conditioning in every room. Rec room in the building with POOL TABLE. Great sunlight flows through the whole apartment. Tall ceilings and hardwood floors throughout. Backyard / Garden for all tenants!